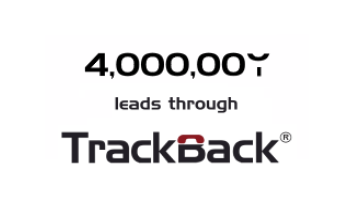 TrackBack is celebrating having tracked its four millionth lead through its unique TrackBack lead tracking platform. TrackBack was established in 2005 and has been expanding rapidly in recent years as more and more vehicle manufacturers seek to track CRM leads passed to their franchised network, by using TrackBack’s unique lead management reporting platform. Indeed, the last one million leads have been processed within the last six months, with the three million milestone being passed as recently as 13 July 2015. As the frequency of customer visits to a franchise retailer during the new car purchase process decreases, it becomes more and more important for the timely and professional follow up of every CRM lead that is passed from the manufacturer to the retailer, and TrackBack provides the tracking platform to measure this. With a further two new brands (Peugeot and Citroen) joining TrackBack in 2016, the five million leads will surely only be a further few months away.